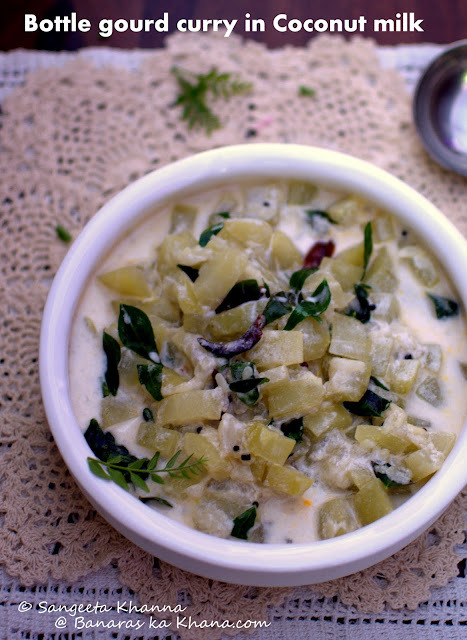 Bottle gourd is the best suited vegetable for summer season and I try to make the most of it. Even if you don't know how this vegetable helps in Indian summers you would realise once you eat it 3-4 times a week during hot summer months. 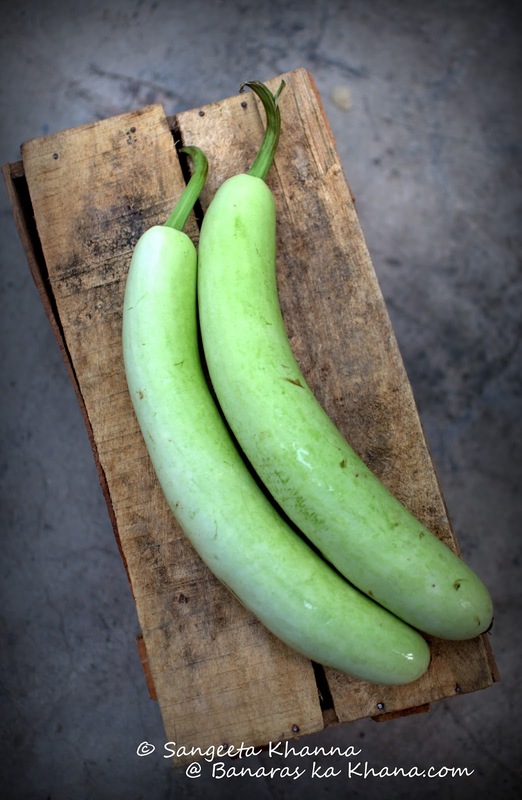 Lauki or bottle gourd is watery vegetables that fills up the plate, satiates hunger, hydrates the body and keeps the digestive system healthy. The only reason why many people avoid eating this humble vegetable is that they don't like the bland taste and mushy texture. But trust me you can make the most of it's mushy texture and bland taste, just flavour it the way you like the bottle gourd wont disappoint you. 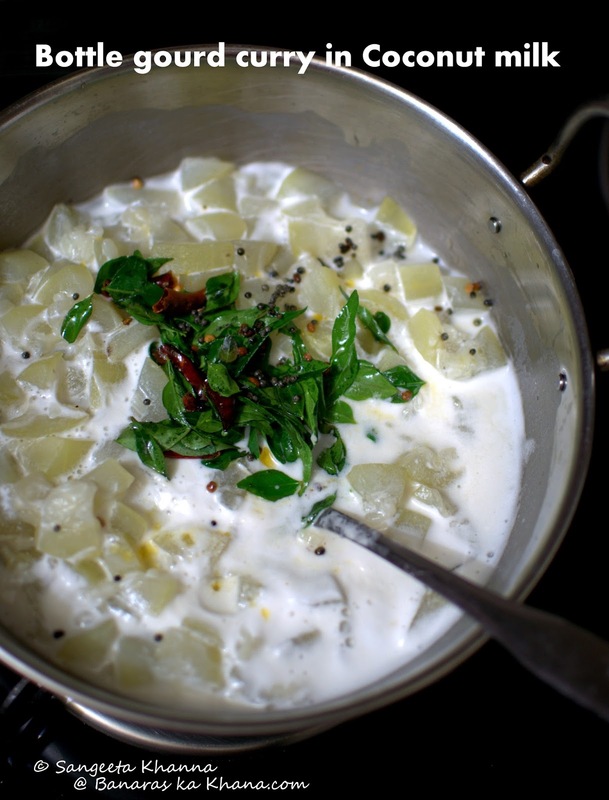 Try this Bengali style Lau shukto if you want to experiment. And this coconut milk lauki will be another in the same category. This curry is inspired by the Pumpkin Olan I make. Not the authentic Kerala Olan but a tweaked version that I find very delicious. Adapting the Kerala Olan recipe again with lauki, it is made using the Ash gourd (Petha gourd) in Kerala but since we rarely find Ash gourds here it is better to use some lauki. One can use up any mature lauki that was bought a week ago too for this recipe. Cook the cubed lauki along with salt and 1 cup water till the pieces get soft. You may need very little water if the lauki is tender, this one was a week old lauki so I Used water to cook. This step can be done in pressure cooker to save time but take care not to cook the lauki to complete mush. 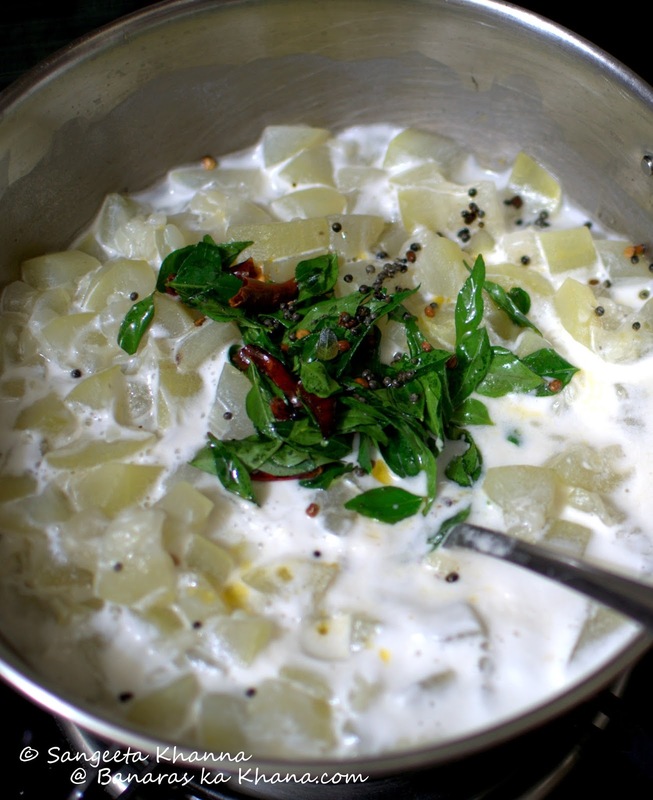 Add the coconut milk and simmer for a couple of minutes. Prepare the tempering by heating the ghee or coconut oil, add the hing, methi, mustard seeds, chillies and curry patta in that order and let them get aromatic. Add all of this at once to the cooked curry and give it a good stir. Serve as required. We like it with roti or some rice but I can eat these curries on their own so it becomes a one pot meal for me mostly. You may want to serve some beans or okra stir fry with this curry to round off an Indian meal along with rice and roti etc. In Kerala this kind of Olan is a part of a huge meal spread called Sadya. Such light curries make sense when there are too many dishes on the table.